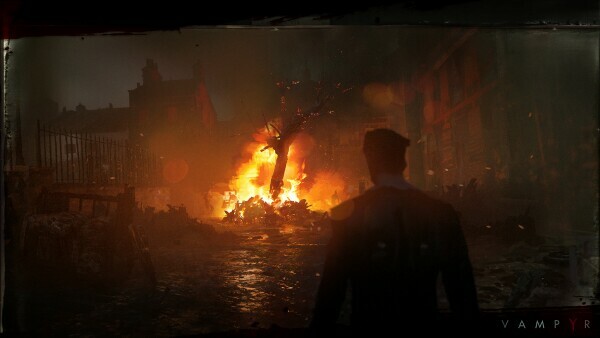 Vampyr is a new game from the minds at DONTNOD Entertainment. 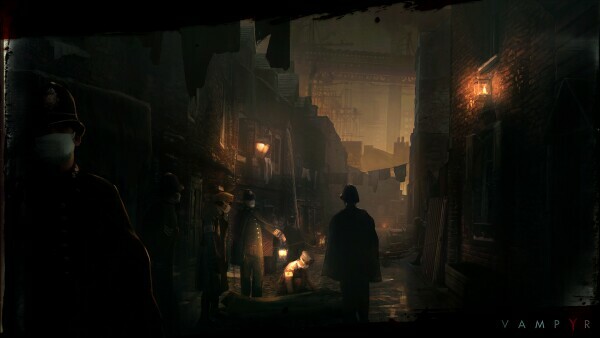 The game is set in London in 1918, during the Spanish Flu pandemic, where you play as Dr. Jonathan E. Reid. You awake as a vampire with no recollection of how you came to be. You set out to find information about your condition and encounter both human and vampiric people on your quest. Now I’ve always been a fan of vampires; they're so dark, brooding, and methodical. They’re like a superhuman Batman. Vampyr lets you live the vampire fantasy, but the game promises high expectations that it fails to deliver upon. As a literal vampire doctor, Jonathan Reid is caught in this ethical tug-of-war between feeding on people who need you as a doctor or healing them to keep them (and their blood) healthy. Should you choose to feed on the cattle for slaughter, you will need to master one of the vampire’s most valuable skill - The ability to mesmerize your prey. Once you’ve chosen your meal you simply mesmerize them, take them to a secluded area, and drain them. Feeding on people is the most efficient way to gain experience. If you choose to heal the people of London, you can raise their blood quality. The higher the blood quality the more experience you gain if you feed on the person. There are also other factors involved in the amount of experience you can gain from a person, but keeping them healthy is an important task to keep in mind. If you neglect a character's health, it will deteriorate over time and whatever affliction they have will worsen. Characters won’t always show symptoms of a disease so you should inquire if they need assistance when you speak to them. 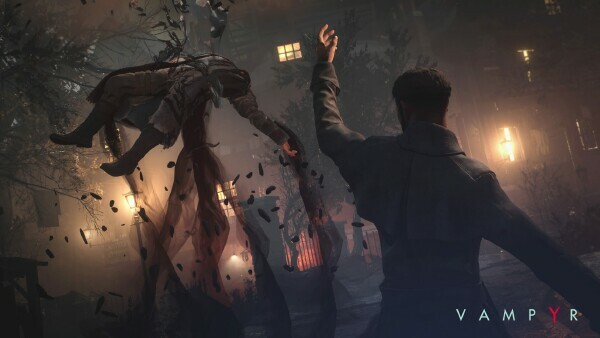 Gaining experience and leveling up are separate tasks in Vampyr; you can gain experience through combat with enemies or feeding on people, but to level up you must go to sleep. 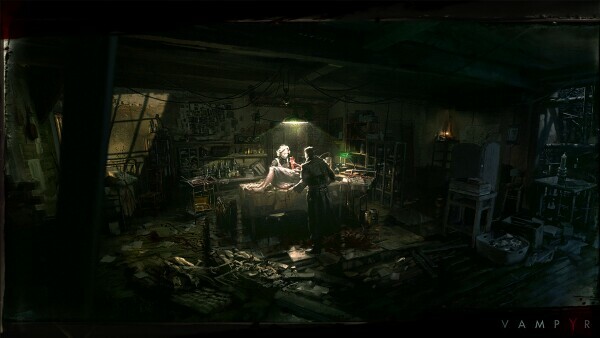 Thankfully, Dr. Reid has his own private office (as well as hideouts) in London that can be utilized for creating medicine, crafting weaponry, or getting some rest. Whenever you rest you will be prompted to spend any experience you’ve gained on unlocking new skills or upgrading the ones you have. Vampyr often tells you that feeding will make life easier for you. I found this to be somewhat misleading. Feeding will net you with more experience, allowing you to access new skills and level up quicker. 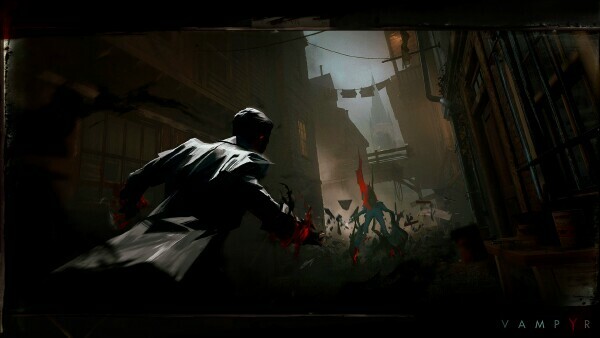 However, whenever I ran into enemies they always seemed to be at least 2-3 levels higher than me and unfortunately combat is one of Vampyr’s weaker points. 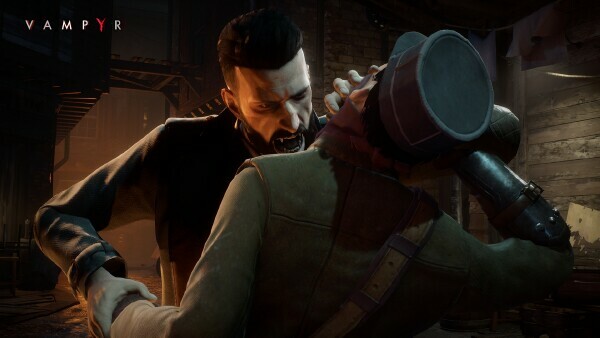 Fighting in Vampyr is not what I wanted from a vampire game. Most of Jonathan Reid's abilities are really well thought out and cool to implement, but the fighting itself is just boring. As a vampire, I wanted to be thoughtful and strategic in my attack; I want to be stealthy and move through the shadows. Vampyr tries to touch on these things a bit, but they truly missed the mark. You can blend in with the shadows and become invisible, but you won't be executing any stealth kills. You can bite your opponent, but only for a moment. Even when you have a melee weapon it feels stiff and I found myself mashing on the attack button until I was almost out of stamina, run away, rinse and repeat. It even works on bosses once you memorize their attack pattern. 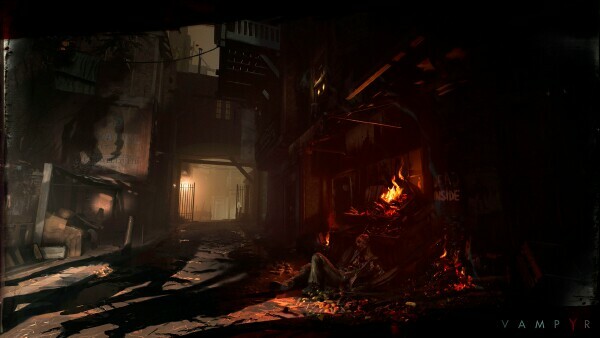 Being set in London during a historic period of disease and death is the perfect backdrop for Vampyr. The story gets told with a supernatural flair while still being historically accurate through its dialogue and timeline. Though I am a fan of the historical references, the dialogue between characters can drag and there are sections where there isn’t much action. I enjoy the game’s moody soundtrack, it sets the tone for suspense at the right times and can sometimes be an audio cue if you’re paying attention. Visually, I wasn’t blown away by anything. It’s very dark, a lot of black and brown tones, textures had trouble loading in a few times. Vampyr has a lot of promise, but the gameplay just didn’t live up to my expectations. There is no real balance between killing off everyone or healing them, you don’t get penalized in one regard or another. Even if you don’t feed for the experience, you can still progress through the story at a low level. It would be difficult, but completely possible. I would love to see DONTNOD take another shot at this if they could and improve on what they started here. 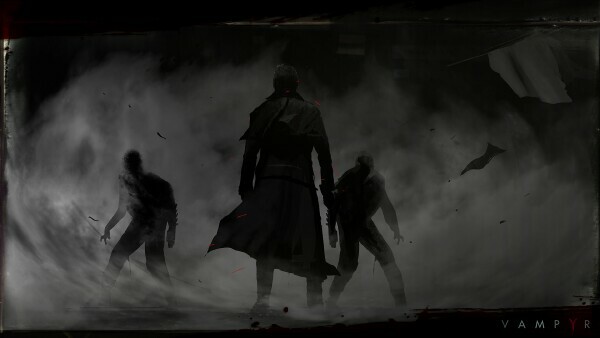 Vampyr gets 3 TOV Stars out of 5.